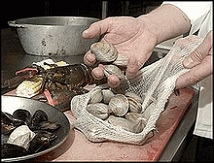 Use these safe knit cotton clam boil bags for your next clam bake and are much easier than a slotted spoon our strainer. 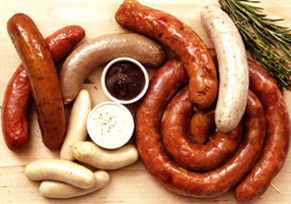 Uses include clams, oysters, sausage, carrots, potatoes, onions and any other boiled product. Also great for picnic hams or shoulders. The bags measure approximately 22" long and are packed 100 pieces per bundle.